CUET Admission Test Circular 2016-2017 www.cuet.ac.bd. Admission test Circular Notice for CUET for the academic year of 2016-2017. CUET Admission 2016-17 Apply Online. 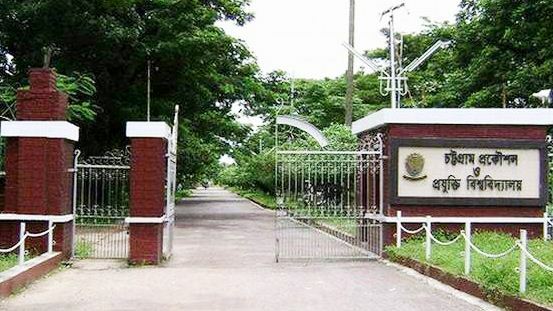 Admission Test Circular for Chittagong University of Engineering & Technology (CUET) and the complete process is published on www.cuet.ac.bd. The admission test for admitting in the first year of undergraduate course for the academic year 2016-17 will start on 5th November, 2016. The interested applicants can find the details of the circular of CUET for the session of 2016-2017 for admitting undergraduate program. A meeting of admission committee was held on 26th July, 2016 and VC of CUET Professor Dr. Mohammad Rafiqul Alam presided the meeting and these decisions were taken. In the meeting, there were also present the Chairman of admission committee and Dean of Faculty of Engineering professor Dr. Md. Hazrat Ali; member of the committee , Dean Architecture and planning, Professor Dr. Md Mostofa Kamal; Dean, Electronic, and Computer ,Professor Dr. Mahmud Abdul Matin Bhuiyha; Dean, Faculty of Mechanical Engineering ,Professor Dr. Md. Mahbubul Alam; Head of Computer Science and Engineering, Professor Dr. Mohammad Mashiul Alam Haque; Head of Petroleum and Mining Department, Professor Dr. Jamaluddin, Examination Controller, Profesor DR. Faruk-UZ-Zaman, Professor Dr. Mohammad Ali Chowdhury and secretary of the committee, Register, Jaman Chowdhury. Applicant must have to have GPA 3.5 in Mathematics, physics, chemistry and English separately. The applicant can easily find all detail information about admission test seat plan and admit card through the website- www. curt.ac.bd. They can also avail the updates and latest information about CUET admission test for the academic year of 2016-17 through this website.